Surveillance for foot and mouth disease (FMD) involves close observation of animals and testing. Processors may be involved in raw milk sample submission for surveillance of FMD virus during an outbreak. 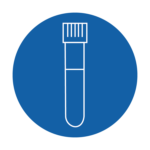 These samples will be tested by PCR (described below) once submitted to a diagnostic laboratory within the National Animal Health Laboratory Network (NAHLN) as they will have the reagents for FMD virus. Diagnostic tests to be performed and sampling protocols may evolve throughout the outbreak based on new knowledge and technology.